Lunch Daily: 11:30am - 3:00pm in the Main Dining Room; Happy Hour Daily: 3:00pm - 5:00pm in the Main Dining Room; Dinner in the Main Dining Room Daily: 5:00pm - 10:00pm; Dinner in the Taberna Dining Room: Thursday- Sunday 5:00pm- 10:00pm. Downtown Santa Fe meters are enforced Monday through Saturday from 8am - 6pm. Residents and visitors may also park at the Santa Fe Convention Center (there may be a charge), the entrance is on Federal Plaza across from the Federal Post Office. La Boca does not validate parking. Check out our Facebook page for most up to date information regarding events and entertainment. We offer live music in our Taberna dining room. CELEBRATING 10 YEARS OF TAPAS! Opened in 2006 by 8 time James Beard Award Nominee, Chef James Campbell Caruso. La Boca has the feel of a lively European wine bar, featuring an extensive selection of carefully chosen Mediterranean and South American wines. Knowledgeable and animated staff graciously guide customers to the perfect wine to complement their meals. La Boca also prides itself on being an ambassador of Spanish sherry culture, transporting its guests to Cadiz in the crisp cool flavors of Fino, or the deep fig-essence of a Pedro Ximenez. Great tapas plates and wonderful music. It was a perfect night. Our favorites were the bacon wrapped dates, shrimp, and the charcuterie cheese plate. Yum! Great meal. Service was good as well. Ate here during our few days visiting Santa Fe, had read mixed reviews, but mostly good things, so decided to book. Was really, really impressed. For a Thursday night, atmosphere was pretty lively, and everything tasted fantastic. Our takeaway was that they did very simple dishes incredibly well. Highly recommend whatever seasonal vegetables they have on the menu, as well as the classic gambas a la plancha (yum!). Waiter was very friendly and attentive, and wine was great. May not be the BEST tapas in the entire world, but it’s really quite good. 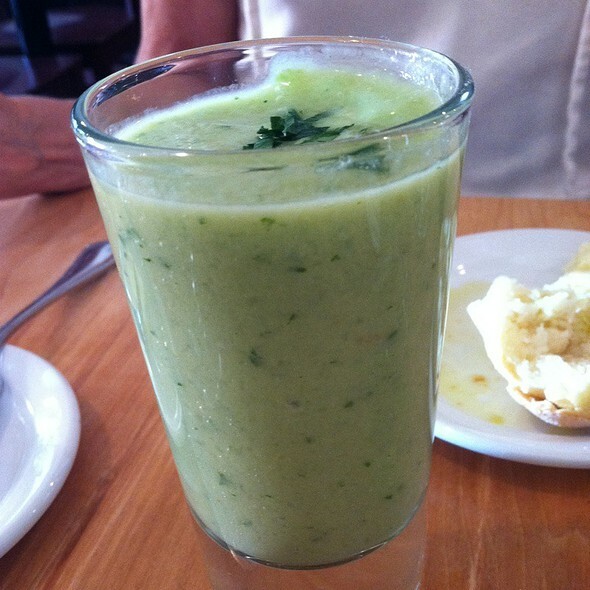 I have regularly visited La Boca and have always enjoyed the quality of their food and service. I look forward to the next time! Wonderful service and food. Our waiter was exceptional. We have been to La Boca a number of times. On this occasion, we felt rushed. Wait staff hovering, ready to snap up dishes before we finished. Food was very good as usual. Staff was polite and professional, just eager to turn over the table for next guests. Our reservation was for 6:15 and we were out by 7:30. Delicious food. Wonderful coffee. Incredible dessert. Excellent service. !Sabroso! A little hard to find because there are two locations but the back location has music, on our visit an amazing flamenco guitarist. The food which you can get a either location were amazing tapas with a little twist. Something as simple as cured olives were enhanced with grapes and roasted garlic. So good you will want to over eat. My husband and I went to LaBoca for our annual trip to Santa Fe. Dylan was our waiter and he was a wonderful! The food was fantastic as usual! One of our favorite dining spots in Santa Fe. Don’t miss it! Hostess set the tone - snarky and annoyed. I’d say she was having a bad day and seemed intent on sharing her mood with guests. We almost abandoned our reservation and walked away. Lucky for La Boca, the food was fine (maybe even great) but we started with such as bad taste. Highlight was a piñon tart with whipped cream. Paella was average and a cup of almonds and olives is hard to mess up. The grilled artichokes were a pleasant flavorful surprise. Glad we went but unlikely to return unless hostess gets a wake-up-call about first impressions. Sorry La Boca! Great service. Fabulous tapas. Loved the live music. It made for a perfect night out. Somewhat disappointed when we got to la Boca the hostess said we were to go to Boca Taberna NOT La Boca. I did not argue because I could have gotten it wrong. But I didn't! I have my e-mail confirmation stating La Boca on Marcy Street. 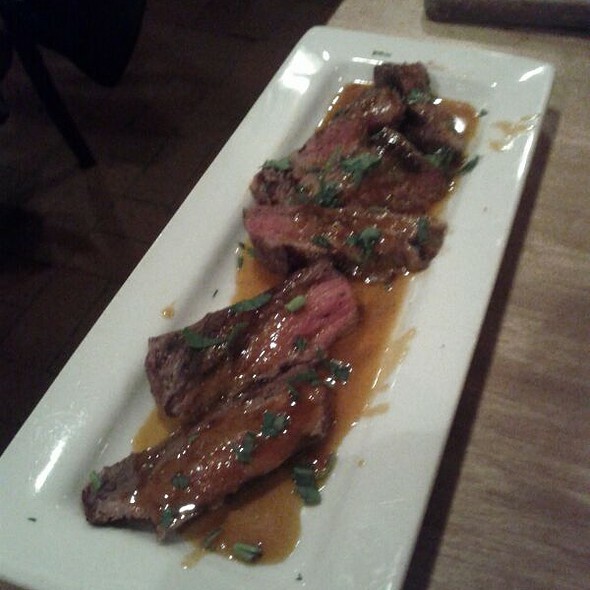 WE always go to Taberna during the summer so we are very familiar, food was great and Jesus was terrific. I can only say La Boca must have over booked, bu hostess was very snippy. I did not appreciate that. The flavors are amazing. We sat in the music room hitch was lovely. We went 2 nights in a row bc it was so good. Found this restaurant last July when we came to Santa Fe...and ate here twice! It was our first stop this trip. Friday night music is wonderful. It starts at 7 if you can get a reservation for that time. Small plate food is excellent! Really love this place! A cozy restaurant that is quite busy on or off season in Santa Fe. Hint, make a reservation! 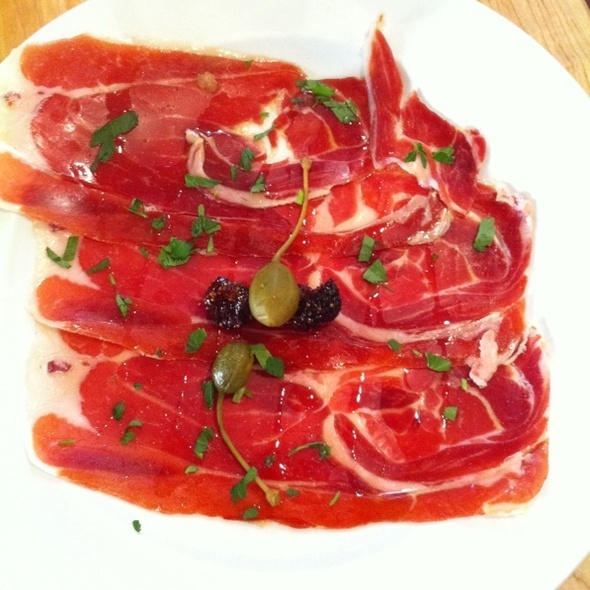 They serve modern spanish cuisine that is always fresh and pleasing to the senses. 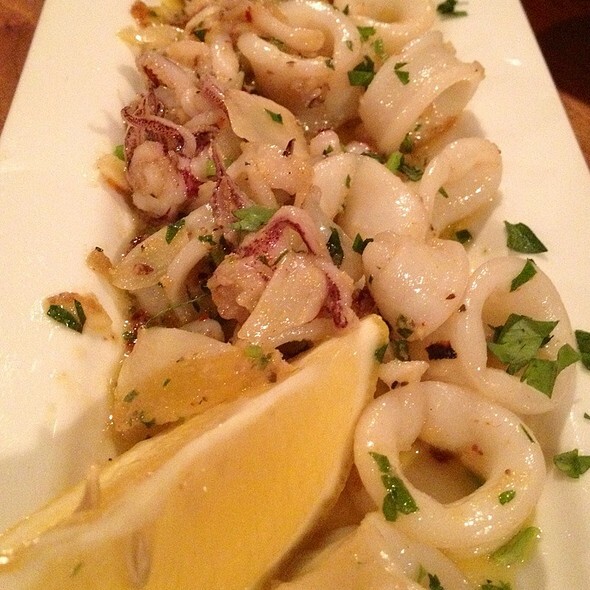 We love to order tapas (small portions) which typically makes a meal for us. The wine selection is very nice and we usually sit in the Taverna where we can listen to a spanish guitarists. On our last visit to La Boca, we were treated to two guitarists! Spanish Flamenco artist - Jose Valle "Chuscales," and Spanish Classical artist - Gustavo Pimentel. A very special evening with exceptional talent! We have dined here several times over the last few years. Service is very good, but food is inconsistent and very much hit or miss. On our last visit the shellfish in our paella was cold and the mussels were not cooked, and were inedible. We have found La Boca better for lunch. Going to La Boca is like traveling to Spain. Great experience. Each plate was better than the last. Small place with seats close together. Lively restaurant. Excellent service and food was pricy but delicious. Recommend highly. Our experience met and exceeded our expectations. There was live music the night we dined and the musician added to our enjoyment. 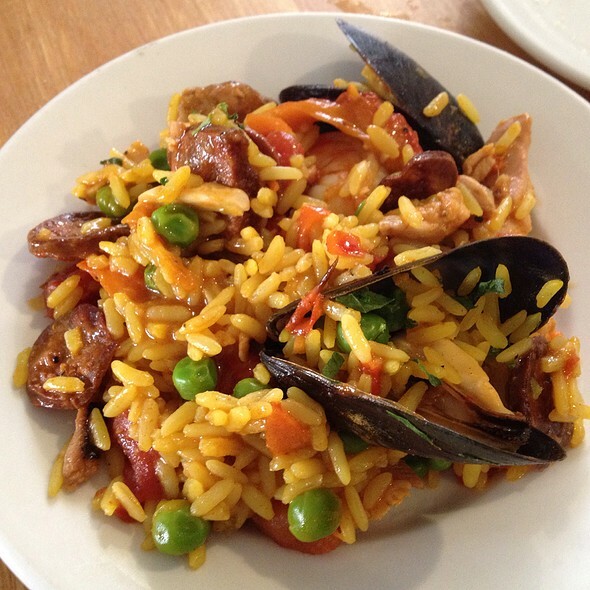 I specifically went to this restaurant due to the Spanish Cuisine and Paella was featured. Everything was excellent. Will plan to return any time we are in Santa Fe. The food was good, a little different than we expected for a tapas restaurant. We ordered the manchego cheese with the membrillo (quince paste) - it was good, but maybe would've been nice to have bread with that. We had the short ribs, and the paella. All good, but not too amazing. I would have liked to see a Spanish tortilla, stuffed dates, piquillo peppers (they did have padron peppers). Will probably go back and try again, some other menu items. Our waitress was not very helpful for menu suggestions. Nor was she attentive. We never received rolls that all the other tables had. She never came back to ask if everything was okay. There was a waiter that was very helpful. The tuna special and shrimp tacos had almost no flavor. The best thing about the tuna was the grilled scallions! The mussels and the plata de la casa were excellent. Love La Boca. 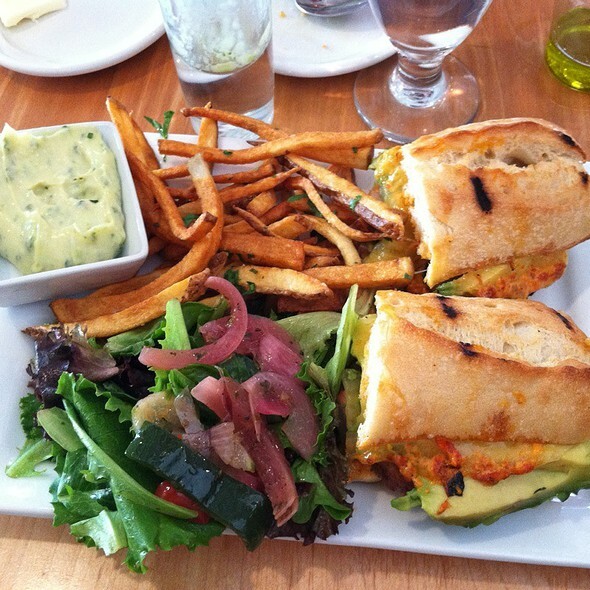 One of our favorites in Santa Fe. It’s always a wonderful meal that never disappoints. We made the reservation for La Boca, the main restaurant, but went to check in and we were told the reservation was actually at La Boca Taberna around the corner . Hostess told us it was due to Open Table though I have triple checked my reservation confirmation and that was not the case. Taberna has same menu so no issue there but we were literally the only people in the restaurant for half of our meal so the ambience was a little depressing , which had nothing to do with staff at all. Main restaurant was not sold out and was also half empty . I have been coming here annually for years and always look forward to it but the seemingly random move of our reservation seemed pointless . Again , staff and food were fabulous as always but the restaurants attempt to drive business to their sister restaurant seemed cruel to the staff who had little to nothing to do and soured an evening that we had been looking forward to . Excellent as usual! Cream of mushroom soup was delicious as was the grilled eggplant with marchango and honey. Partner had the Cubano sandwich, which was also outstanding. Food, service were excellent. Anchovies, fried oysters, mussels, shrimp taco, white sangria. Unfortunarely, the person sitting next to us had to talk to us, and talk . . . Elegant, unique, fascinating tastes, instructive sherry offerings. Would come again. Food and service were amazing. Great live music! Interesting food choices. Great sangria. They have 2 small locations around the corner from each other. Wonderful lunch with excellent tapas. Reasonable prices and lovely ambiance. Fortunate to also experience a local musician playing during our dinner! Exceptional tapas. Be aware that music (an excellent solo guitarist) performs on Sunday evenings.